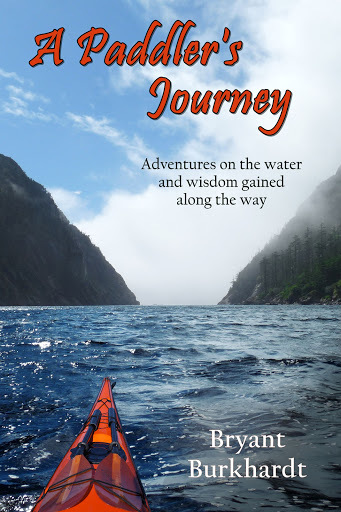 A Paddler's Journey on Sale for 99 cents! 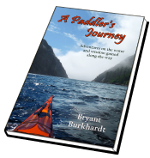 I taught at Paddle Golden Gate a few weeks ago (pics coming soon - I promise) and I received a lot of kind words from folks who had read my kayaking memoir, A Paddler's Journey. A lot of them said they wanted to share it with their non-paddling friends to let them know why we all love the sport so much. To make that a little easier and help spread the word, I've put the kindle edition on sale - now only 99cents! Only for a couple of days - goes up to $1.99 on 2/28/16 and then back to its regular $2.99 price on 3/1/16. So get it now or let your friends know. I've also extended the holiday sale on the paperback edition. If you purchase it through the CreateSpace site and use the code XUW6M6ZV you'll get $3.00 off the cover price. That makes it only $9.99! And if you want a signed copy you can order that through my website. You can even tell me what you want on the inscription and have me mail it directly to that non-paddler who you want to understand what's so great about kayaking. And I'll even through in a free copy of my Paddle California DVD!